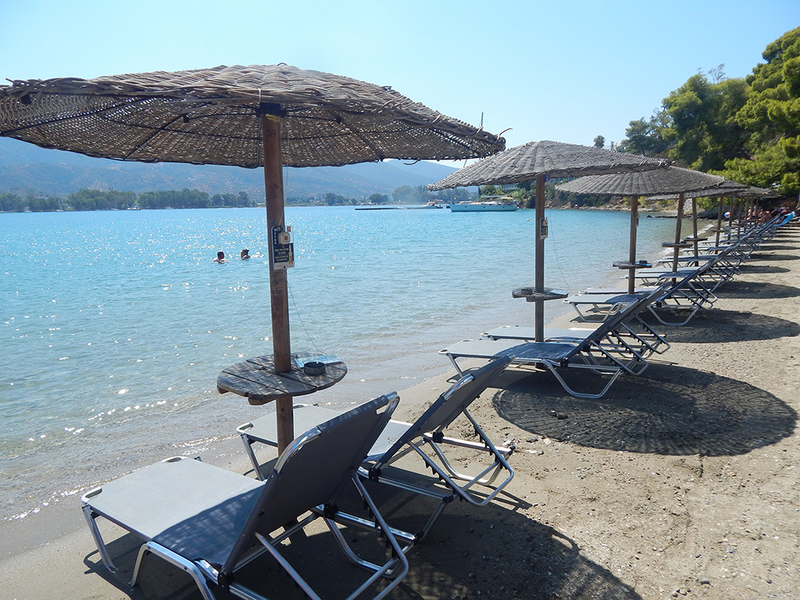 After the canal bridge, on your left going westward, the coastal road leads you to Mikro Neorio, a beautiful sandy beach with umbrellas, deck chairs and a small canteen. The pine trees here stretch out to the sea. 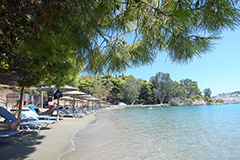 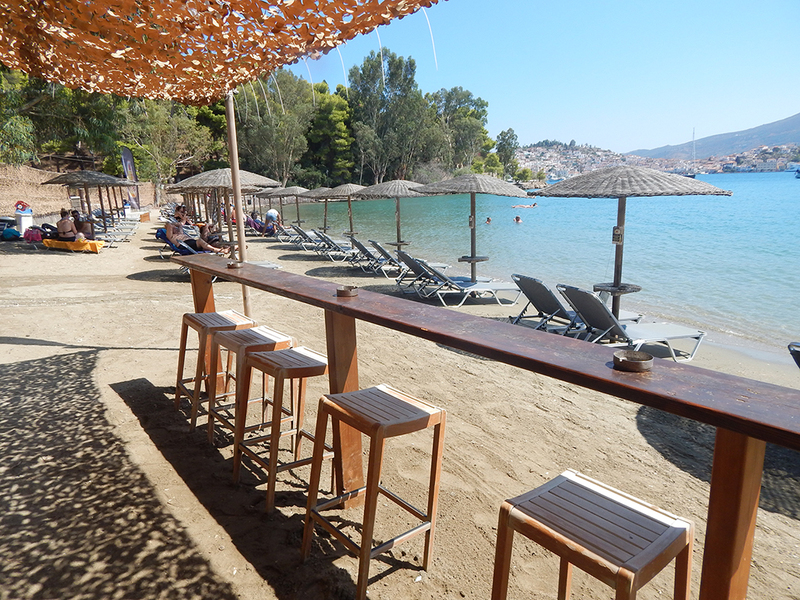 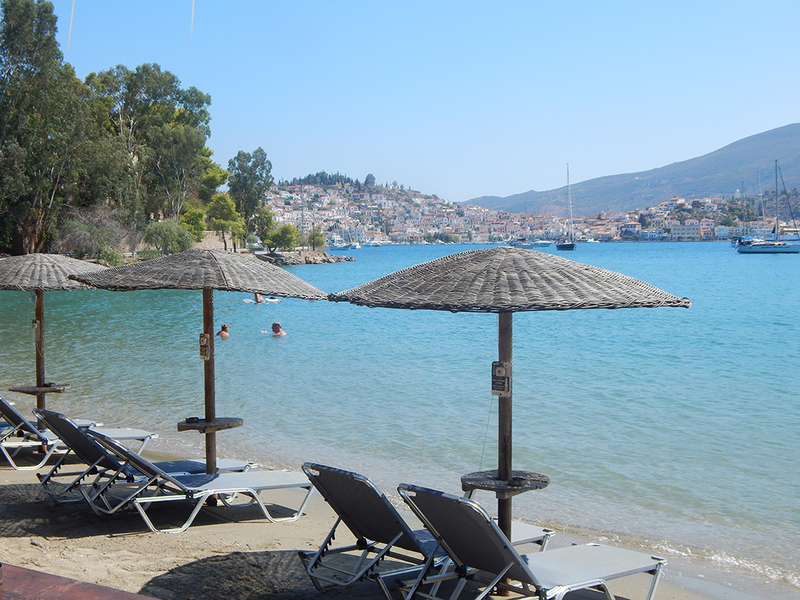 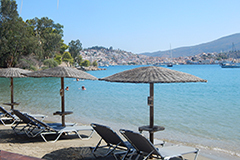 Mikro Neorio is one of the most beautiful beaches in Poros, where the pine trees reach the sea as well. 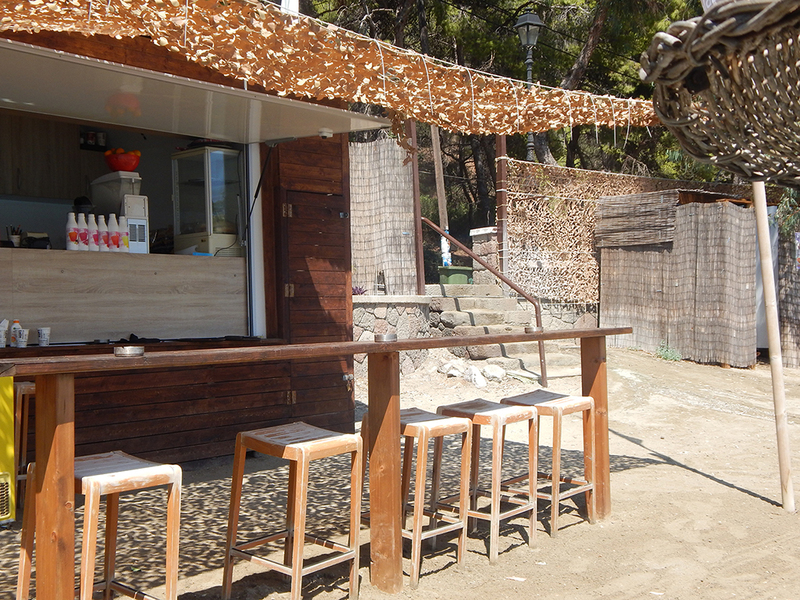 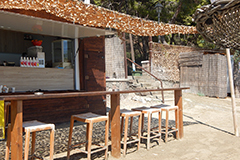 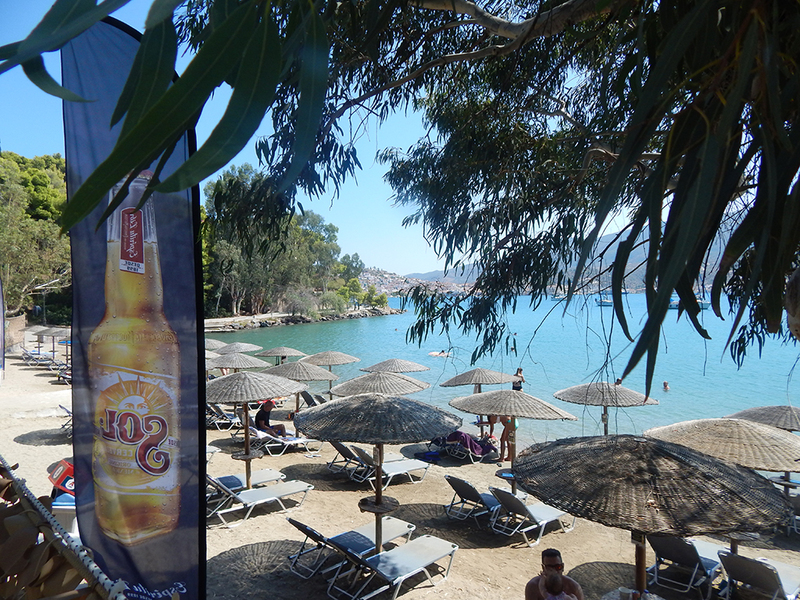 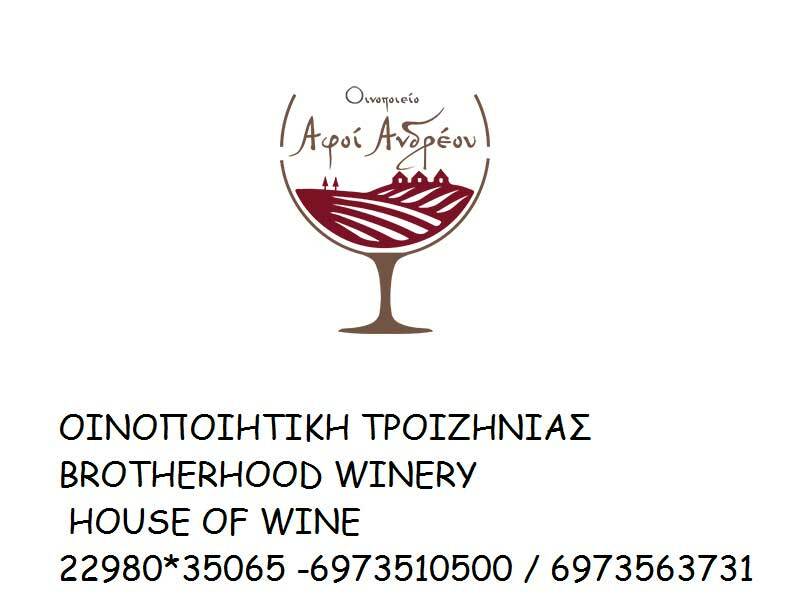 At the canteen you can eat a snack, drink your coffee, cool down having an ice cream or soft drinks, ouzo, wine and beer. 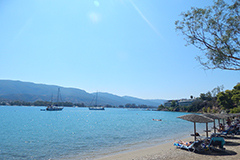 Vessels of all sizes, small and large, are moored here. 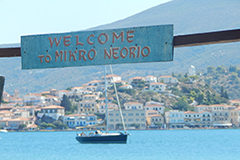 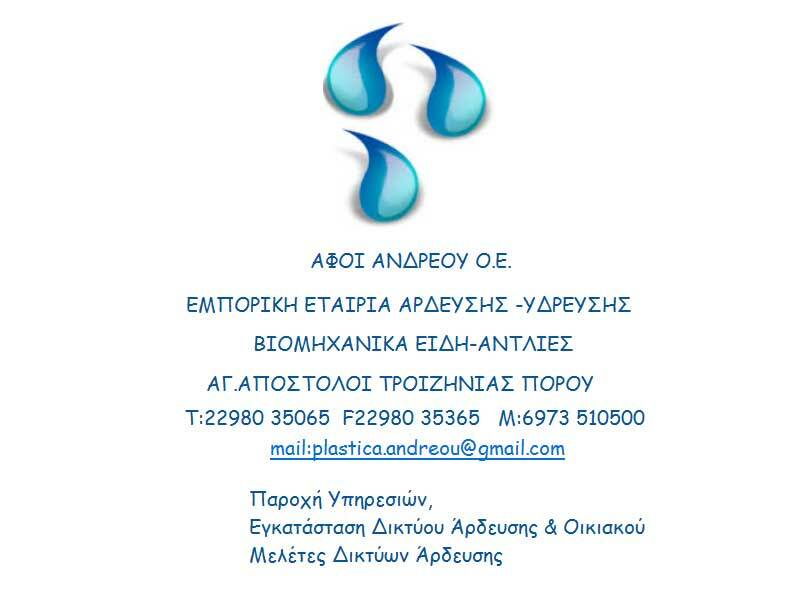 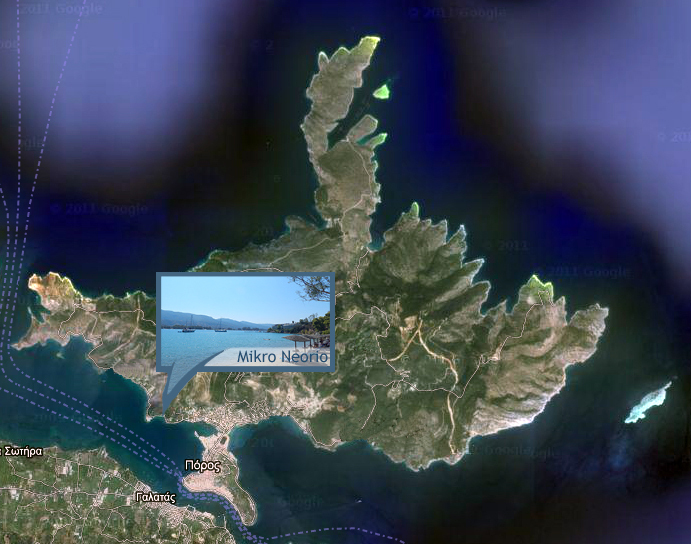 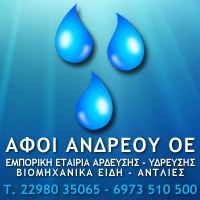 Mikro Neoreio has continuous taxi or boat routes to the center of Poros. 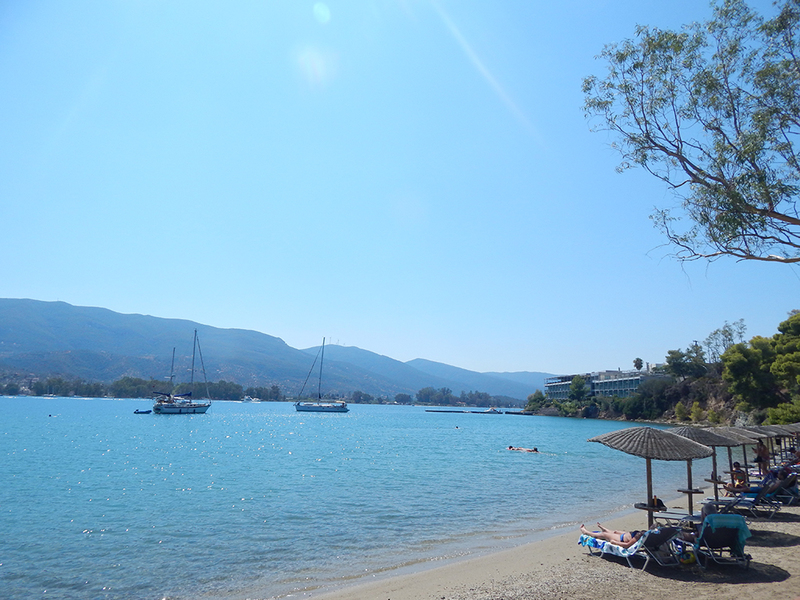 If you feel like walking, it takes about 25 minutes.